We all know that the best workout routines are in combination with the best diet plans. There are a few foods out there that you should always buy organic to reap the most benefits from. In a perfect world, we would be eating foods completely organic all the time. Many times, the food we eat has been sprayed with pesticides, so bugs and birds do not eat them, to help the farmers get the highest crop count. There have been various studies that link pesticides to health issues in humans, but none are conclusive. We still need to do a lot of research about the link of pesticides and various health issues before that can be a confirmed fact. Since there are various pesticides out there they can create a cocktail of chemicals, these mixtures may prevent your body from repairing damaged DNA and may increase your risk of gene mutation. These have both been linked to higher cancer risk. Although these are not completely tested and are only suggested, pesticides may lead to ADHD in children, fertility issues, and a lower sperm count in males. The research is not conclusive on any of this. There is much research that needs to be done when it comes to the effects of pesticides. There will also need to be research done on alternative so that farmers will still yield high crop counts to feed our growing population. Even if you go organic, you cannot completely know that you are getting away from any of these pesticides. Organic fruits and vegetables have shown to be your best bet when it comes to organic foods. Organic fruits and vegetables do not differ in nutritional value and are less likely to have come into contact with pesticides. The only issue is that organic food is pricey. This list will help you to choose the right foods to splurge on and which ones not to. Yearly, the Environmental Working Group creates a list of produced ranked by how many pesticides are in them. Strawberries came in as front runner with more than 98 percent of strawberry samples containing pesticide residue. Spinach came in as a close second with almost twice as much pesticide residue than any other crop. Nectarines came in at number three with 98 percent showing pesticide residue. Apples are ranked as fourth on this list. It is because of their thin skin that they come up this high on the list. Peaches came in fifth on the list. 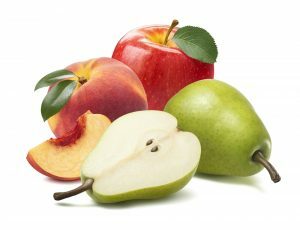 Pears came in sixth on the list. Cherries came in seventh on the list. Grapes came in as eighth on the list. These fruits are also thin skinned fruits and come up on the list because of this. Thin skinned fruits absorb pesticides and hold onto residue easier because of this. You should always wash your fruit before biting right into it. All these also have thin skin which makes them more susceptible to pesticides. You can try to peel foods to help get rid of that layer that holds onto the pesticide residue. This may not get rid of all the pesticides in your foods, but it can help get rid of most them. Pesticides can also be absorbed through the roots of a vegetable, so there is no sure fire way to completely get rid of pesticides. Plus, the skin of most fruits and vegetables holds the most amount of nutrition. Your peanut butter should only contain one or two ingredients. All you need to make peanut butter is peanuts and salt. It is a good healthy fat source if you are able to keep your portion sizes in check. If you choose organic peanut butters, the better it is for you. If it organic, it has been specifically made with peanuts that avoided pesticides. Basically, non-organic peanut butters can contain pesticides, but they are also high in bad fats, sugars, and salt. Other than fruits and vegetables, you should also be buying your chicken organic. Pesticides generally are not found in meats and dairy products. Organic meat means the animals was never given hormones or antibiotics during its lifetime. The conditions they were raised in also mimic those that they would naturally be found in. Basically, you should be buying your meat from your local farmer or rancher if you want completely organic meats. If you do not have these kinds of people in your area, shell out the extra dough for organic meats in your local grocery store. The same standards are used for pork as they are for poultry. These animals are fed organic feeds and treated as naturally as possible. Their food contains no synthetic pesticides or chemical fertilizers. This leads to better animal health and less impact on the environment. Look for organic or fresh pork next time you go to the grocery store. Grass fed beef contains omega-3 fatty acids. Grass contains more omega-3s than grain does making grass fed beef more nutritious than grain fed beef. Grass fed beef has almost 50 percent higher amounts of omega-3s. Omega-3s are great for your heart health and for your brain health. They significantly reduce your risk of heart disease. It is raised without hormones or antibiotics. Always talk to your doctor before you begin any new diet plans. Organic foods are good for you, but you should still talk to your doctor about what type of diet you should be on for your needs. 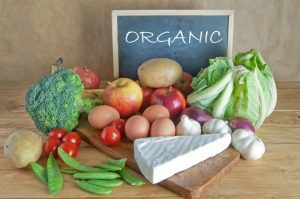 When it comes to organic foods, you may have to pay a little extra to get it, but you can be feel safe as you are eating foods without pesticides, or pesticide residues. Make sure to do your research before buying organic foods, as sometimes food products contain extra, unnecessary labels so that consumers will pick them up.